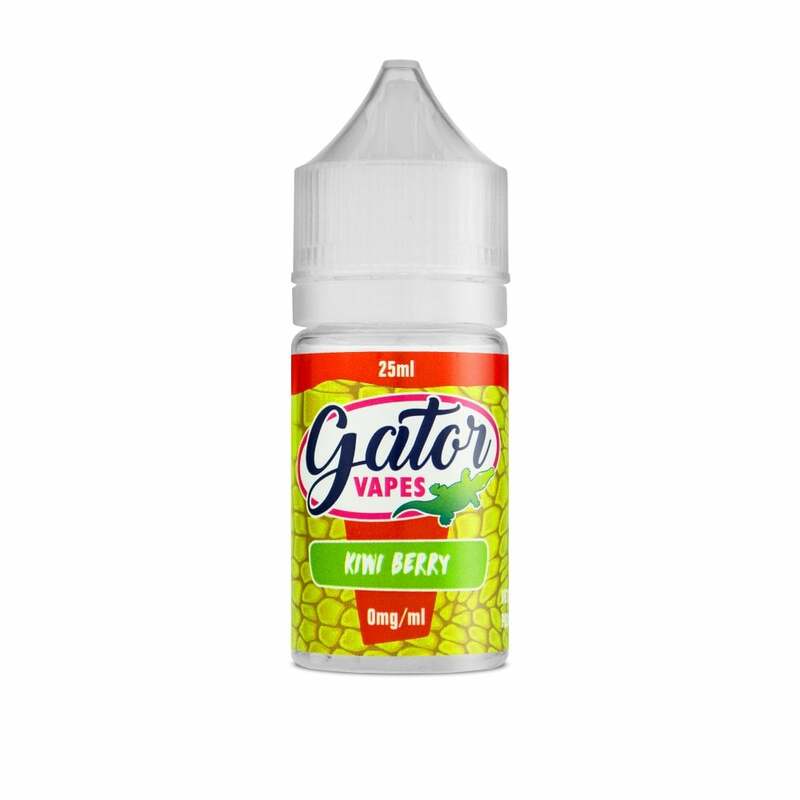 Gator Vapes Kiwi Berry e-liquid is a vibrant fruit cocktail of sharp kiwi and juicy strawberry that will stimulate your senses and tantalise your taste buds. Kiwi Berry by Gator Vapes is the perfect combination for fruit vapers looking for something a bit different. Gator Vapes is a range of UK-made e-liquids with serious bite. Each Gator Vapes e-liquid has a 70% VG formula and comes as 25ml e-liquid in a 30ml bottle, so just mix in half a nicotine shot and enjoy the intensely fruity flavour, now with nicotine!